Recent revisions to the International Council for Harmonisation (ICH) Guideline for Good Clinical Practice, as outlined in ICH E6 (R2), have provided an impetus for sponsors to reevaluate their oversight and quality management processes throughout the clinical development process. Specifically, ICH recommends that a sponsor maintain oversight of “any trial-related duties and functions carried out on its behalf, including trial-related duties and functions that are subcontracted to another party by the sponsor’s contracted CRO(s).”1 Identifying, qualifying, and selecting clinical providers are early and critical steps in the clinical outsourcing process that require attention. 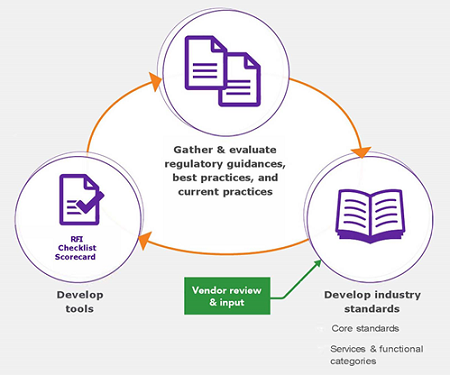 This step remains a dysfunctional, decentralized process across the industry, consisting of repetitive, resource-intensive evaluations of providers by sponsors and submissions of information by providers. Just as important is the increased compliance risk for sponsors and CROs associated with missing and inadequate documentation of provider qualification. To understand how sponsors were addressing ICH E6 (R2), Avoca conducted research in 2017 in which sponsors reported a focus on risk management as one strategy, by thinking about risk-based approaches to all trial-related processes, including provider qualification and oversight. In addition to a greater focus on oversight itself, companies also described formalization of processes and tools to help address inconsistent qualification processes and inadequate documentation. When an inspection occurs, it’s important to be able to recreate the story of how selection decisions were made, how the provider was qualified, and how that continues to the oversight plan. Interestingly, in a recent informal poll of 125 representatives of sponsors, CROs, and providers, 81 percent of respondents rated their organization’s qualification process as only “adequate” or “needs work” (Figure 1). The majority (78 percent) of sponsor and CRO participants reported qualifying fewer than 25 clinical service providers annually. Therefore, there’s still work that needs to happen to help sponsors feel confident that they are doing their due diligence around provider selection and qualification. And, we need to recognize that our selection decisions will influence downstream service delivery and quality; because our clinical trial partners can pose either a threat or an opportunity, we want to ensure they are the latter. By developing a more cohesive strategy around selecting partners that meet the study’s and the organization’s needs, we can narrow the gap in the perceptions of value and quality that persists between sponsors and providers (Figure 2). In our discussions with clients and member companies of the Avoca Quality Consortium (AQC, a member-based pre-competitive collaborative composed of clinical operations, quality, and outsourcing professionals from pharma, biotech, CROs, and clinical service providers), we most often hear that sponsors struggle with having confidence in the adequacy of their qualification efforts: knowing the right questions to ask and having the resources available and sufficiently experienced in evaluating providers to make qualification decisions. Internal needs analysis: Engage stakeholders to analyze and understand what capabilities will drive the business forward. What specific endpoints or technologies are needed now, and which will be required five or 10 years out? What requirements exist within the procurement, legal, financial, and quality realms, and do these need to be reconsidered in the context of new categories of providers and services? External analysis: Consider the business landscape as a whole. What’s happening currently, what’s changing, and what are the current threats and opportunities within the space? For example, are new entrants bringing breakthrough innovations that challenge the status quo? Are they as proficient with compliance requirements as they are with technical requirements? Provider portfolio: As you step through the sourcing approach for a category (e.g., medical imaging, clinical monitoring, ECG), what is the optimal mix of providers for your needs? Does it make sense to move forward with a single provider or with a provider that provides 80 percent of your common needs, supplementing it with niche providers to satisfy unique needs? Set of questions: Once you’ve reached an understanding of what you need and who to approach, the next, and for some the most challenging, step is determining the right questions to obtain the required information and how to ask those questions. Evaluation tools: Because there are different segments of the selection and qualification process, each with specific tools, it’s important to identify the right tool. At Avoca, these include industry standards created and maintained by the AQC, a robust request for information (RFI) questionnaire template, scorecards to objectively evaluate and compare providers, and visit checklists. While each company might have its own tools, the most important consideration is traceability between what you have defined as a requirement or standard, where that question is assessed (e.g., RFI, audit), and what information the collected data provides. There are different methodological approaches to the development of evaluation tools, but I’ll briefly outline Avoca’s approach as one example (Figure 3). Through its collaboration-driven model, the AQC synthesized information donated by its 90+ members and from guidance and requirements outlined in regulatory documents, reflection papers, and best practice documents to develop standards for clinical outsourcing. In addition to these core standards, the AQC used this same process to define technical standards specific to each service or functional category. Providers also had the opportunity to review the standards and provide feedback during the development process. These standards are updated and maintained as the associated guidance and regulations evolve. The right questions and how to ask those questions are derived from these standards, providing the yardstick against which providers are measured. Then, the AQC created robust RFI templates to capture information describing how providers meet these standards, provide a snapshot of each provider’s capabilities, and ensure traceability between the standards, questions, and responses. From the provider perspective, these standardized templates also reduce the resource burden associated with responding to each similar, but slightly different, RFI from sponsors. In the scorecards, provider responses are weighted according to the value of each requirement to the organization, providing an objective evaluation and a means to compare among providers. Finally, checklists are used to assess the evidence for the relevant requirements for your business against the standards. So, each step maps back to the standards, to improve traceability and consistency across all evaluated providers. After creating the tools, the AQC Member companies voiced the need to centralize the data collected, in an effort to simplify the process and alleviate some of the work associated with the qualification process for all parties involved. After all, why spend the time pushing questionnaires back and forth when completed RFI templates and accompanying documents can be accessed in one central location and those valuable resources can be spent on other critical trial execution responsibilities? In our experience, a centralized repository of completed provider RFIs also facilitates regular maintenance of provider information. Because the providers have autonomy over their data, a centralized location in which to manage that data, and the ability to provide sponsors with immediate access, regular review and updates to the information become an innate business process. Moreover, a centralized model facilitates the gathering of a consistent and complete provider qualification documentation package. The information used to make decisions about provider selection – including RFI responses, scoring, and qualification assessment reports -- is the relevant evidence to support reconstructing the provider evaluation and selection process in the event of an inspection or audit. Approaching provider selection and qualification in a systematic, stepwise method can make a seemingly overwhelming task manageable. To summarize, we recommend that you commit to a rigorous introspective evaluation of requirements from all stakeholders to the outsourced services, apprise yourself of external conditions through the lens of risk (e.g., threats and opportunities), and seek out and leverage industry-accepted standards for evaluating provider qualification. Finally, centralized approaches are a good resource to mitigate timeline risk, reduce resource burden, and assure high quality in qualification activities. Dennis Salotti is COO of The Avoca Group and head of Avoca’s Industry Research and Diligent Qualification Platform. With more than 16 years in the pharmaceutical industry as a sponsor, provider, and consultant, he has experience that spans preclinical research, clinical operations, data management, quality assurance, eClinical, business operations, and strategic management. Prior to joining The Avoca Group, Salotti was director of operations for WriteResult, an eCOA clinical research organization, where he was responsible for client delivery across the portfolio of global clinical trials. He has previously held positions in research and clinical operations for Pfizer and Merck. 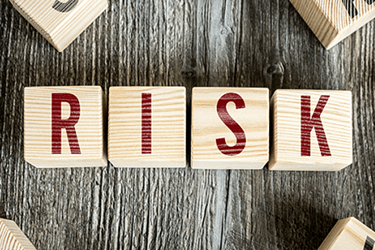 A webinar presented by Dennis Salotti titled Employing Strategies for Effective Risk and Capability Assessments When Choosing a Clinical Vendor, as well as a transcription of the Q&A session, are available at http://bit.ly/2FVmoEj.